I confidently predict that Delusional Synth Owner and Delusional Guitar Collector magazines will eventually merge to become Delusional Dentist or some such. I feel like this could easily be me, if I had slightly less self control. Join synthesiser freaks Facebook group ...it will show you this is 100% true, it's all about the look of the studio / equipment and not the music, they are on pat with guitarists! I think our crap is cheaper, no? I get you. I had a look recently and all my guitar stuff together was less than £3,000 (5 electrics, 1 classical, dozen pedals). The bloke I manage at work just spent that much in a new mac, keyboards, monitors and so on just as a starter. Like guitars you don't need the vintage equivalent, modern synths like the studio logic sledge /novation bass station do the same job and in alot of respects better, but that doesn't matter to the die hard synth fans, .. Especially as the up keep of an average synth is a constant issue! For me I love synths and guitars but high end vintage never bothered me , gimme a tokai and a novation and I'm happy. I'd agree to a point, although synths do have a certain irrational draw for me. I play a nord electro 5 out in various contexts, and can do 90% of what I tend to need with just that, including basic synth patches with its sample engine. My only out-and-out synth is a Sledge, which is great, but I find myself tempted by an analogue with a good modulation matrix - but in reality I probably only want that to create a couple of sound effects the sledge can't, but which I'd hardly ever use once I could do it. Like the draw is purely about lacking the ability to do something, even though I don't really need to be able to. I also have a slight hankering for the now affordable classics from when I was in my teens - dx7, d50, M1 etc, but lack of space and being able to cover those types of sounds in other ways stops me browsing eBay. The temptation is just about nostalgia really. I've succumbed to synth lust over the years- I had a crazy amount of romplers and polysynths in the 90's- but over time my taste has gone to analogues mono synths. I've paired it down to a few essentials- a Moog Sub 37, Arturia Matrixbrute, Dave Smith Prophet, Korg Prophecy, my 3 Elektrons (A4, Octatrack II, Digitakt) plus a growing Eurorack system. Oh and the new digital piano. That kinda feels like 'enough' but not excessive, certainly compared to some of the folks on FB groups, GS and Muffwiggler. And I’ve only got three synths. Modest. The temptation is just about nostalgia really. Should be embossed at the entrance to every man cave in the land. I joined this group yesterday and today I have made a deal to purchase my first synth (Yamaha DX-7). I've now left the group. Absolutely do not recommend joining it. Lol this is genius, and me. My personal favourite "Unbelievable Stories - I wrote a song, finished it, and played it to others". So true hahaha. Did you make this @octatonic ? I did not- I saw on Gearslutz. Maybe so but some of the old synths have never ceased to sound great. Modern, digital emulations of them vary in "accuracy". Some are near enough to evoke the same response as the real thing. Some only pass muster within a mix. In the meantime, use your delusion. 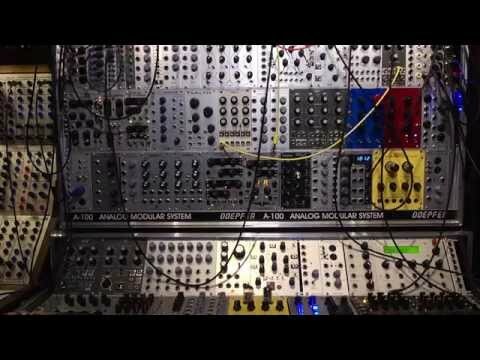 I ordered £2500 worth of Eurorack modules today. I order £2500 worth of Eurorack modules today. Sounds like the opening line of a Trent Reznor song. Is this the issue with the @HarrySeven interview in? You got in before my edit. I now have most of the AJH and Mutable Instruments modules and a bunch of Doepfer sequencer bits. In comedy, timing is everything.